As founder and formulator for Alfa Vedic, Dr. Barre traveled an eclectic path through athletics and academics in becoming a Physician, Kinesiologist-Functional Movement Specialist & Master Gardener. THE FOUNDATION: A three sport high school athlete and recipient of Northern California football all-star honors; intercollegiate Div. IA scholarship football player acknowledged for maintaining a 4.0 GPA in pre-law and pre-med undergraduate studies; competitive power-lifting. GRADUATE STUDIES: MS in Social Psychology: Utah State University; MICP certification: Stanford Medical School; Oriental Medicine and Classical Homeopathy: Pacific College of Naturopathic Medicine; Doctor of Chiropractic: Life Chiropractic College; Kinesiology Diplomate: Body Integration International. PROFESSIONAL: Social Psychology Instructor: Utah State University; Paramedic-Firefighter: Novato Fire Protection District; Hale Aloha – Integrative Medicine Residential Clinic: owner-director of integrative medicine and chief clinician. MEDICAL SPECIALIZATION(S): Biological Terrain Medicine, Clinical Kinesiology, Japanese Meridian Therapy, Endobiogenics, Functional Movement Specialist, Craniopathy, Visceral Manipulation & Chiropractic Medicine. 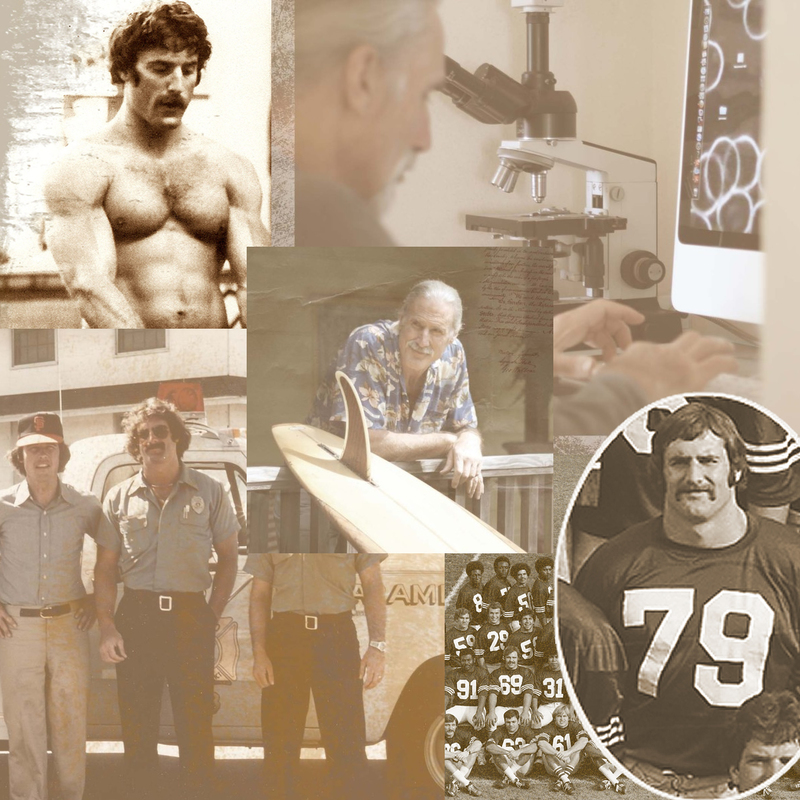 AVOCATION: As a long-time surfer Dr. Barre has chased waves from Fiji to the Hawaiian Islands, but training in the internal martial arts, bee-keeping, Russellian Science and medicinal herb farming are his present passion. Dr. Lando is noted amongst his peers for his innovative clinical strategies, and has made himself available over the years for both consulting and professional training to other health professionals. The integration of wave-form mechanics, and largely suppressed aspects of biophysics and microbiology are now his primary focus in creating a genuine ‘science-based’ system of functional medicine, thus avoiding the inherent limitations of present ‘theory-based’ conventions within institutionalized systems. Although retired from clinical practice, ‘difficult cases’ have always comprised the bulk of Dr. Barre’s international client base, and the custom compounding of nutrients, homeopathics, and herbs became a necessity in meeting their needs. This experience would become the roots of the present line of advanced macro-nutrient herbal formulas that have been made available to the general public under the trade name of Alfa Vedic. Alfa Vedic and AV Botanical Gardens are the natural culmination, and next evolution of Dr. Barre’s work. Gardening has proven the cohesive thread while navigating the demands of profession, home and athletics for Deb Lando. A palpable connection with the land would become a lasting engram born from her childhood on the family ranch. Far from a “new age” concept, communing with the “garden elementals” is terra-forming 101 the way she sees things. THE FOUNDATION: A close second to Deb’s love for the land is an equal feeling of ease within the water element. As a water safety specialist with the Red Cross and certified water therapist for the handicapped, Deb’s recreational pursuits also tend toward water. A long time competitor in Hawaiian outrigger canoe racing, Deb’s boats won numerous medals and state titles over the years; in the interest of balance Deb is an accomplished cross country runner and power-lifter. PROFESSIONAL: Owner-creator of Beach Bodies fitness classes that would initiate the Marin aerobics trend of the 80s; handicapped therapist; owner-director of Hale Aloha Residential Healing Clinic; owner-operator of the Lost Coast Nursery & Farm Supply, and Alfa Vedic Botanical Gardens. 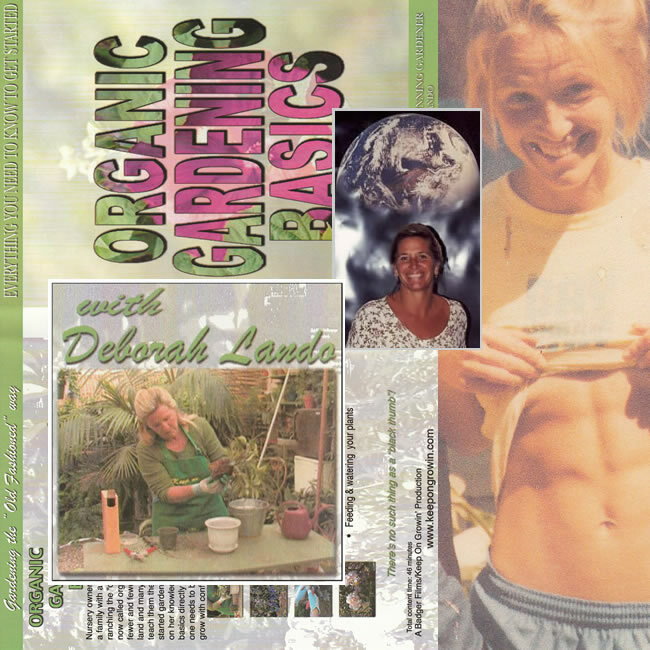 AVOCATION: Still active in garden design and consulting, Deb is more impassioned to share her knowledge of the gardening lifestyle as the most valued skill in today’s world. Her infectious spirit, and master gardener skills have inspired many to agree with her personal philosophy that … “we are here to create heaven on earth”. Alfa Vedic’s Creative Director, Bryden Lando, has the innate attribute of translating creative expression through a diversity of mediums. A multidisciplinary artist, he is equally facile in illustration, film, painting, photography, writing, music and fashion design. Martial Arts, and surfing have showcased his ability to excel in anything athletic since childhood. 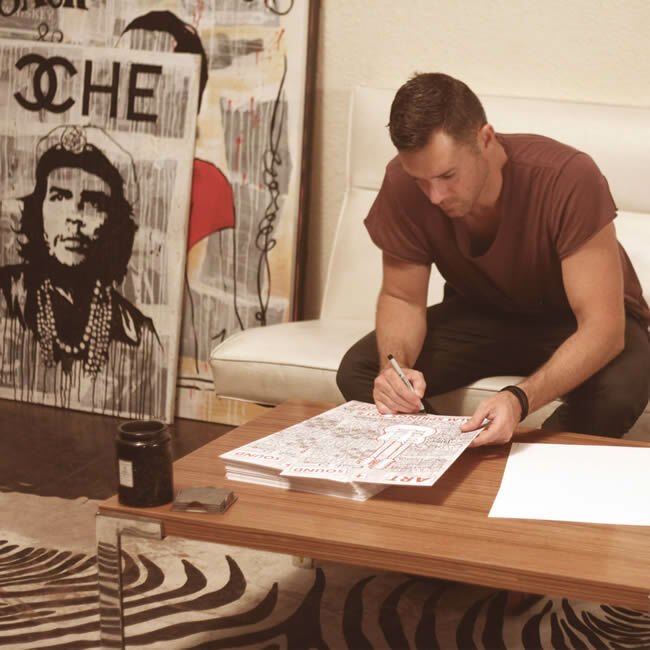 THE FOUNDATION: Growing up on the island of Maui, Hawaii, Bryden began painting and illustrating as a young child. Although a product of the laid-back island demeanor, Maui was the perfect environment to fuel the creative fires of a lifetime. The islands also proved supportive to Bryden’s commitment as a serious student of the Asian arts. An early immersion within Hawaii’s renown martial arts community lent a cultural and technical depth often absent in conventional training circles. College years were central to formalized studies in classical art, design and film, while running his own clothing design and manufacturing company. PROFESSIONAL: As owner of Bryden Lando Design, Bryden’s reputation in the fashion industry attracts large clothing brands seeking full package private label design. From the conceptual sketches, to the final bagging and tagging details ready for store shelves, Lando works with some of the biggest brands in the world utilizing his decade of manufacturing experience and factory relationships. AVOCATION: Bryden tends to view life through the Vedic lense … artistry, business, surfing and martial arts are all natural components of life in balance. Mike Winner’s considerable technical acumen more than justifies his role as Alfa Vedic’s technical director, but his natural inclination is to perceive the grander patterns superseding technology. Mike’s knack as a “techie” was apparent in early childhood, and is channeled at present through his success as a production coordinator, filmmaker, web designer and programmer. Mike’s positioning on the technological edge is impassioned by the possibility of planetary transformation facilitated through this medium … never as an end to itself. THE FOUNDATION: The young and techno-precocious Mike was eager to fathom the inner workings of anything electronic, at times to the chagrin of Dad upon discovering his disassembled stereo system. With a degree in film studies from the University of California, Santa Barbara, Mike’s talents are now animated through multi-media projects, stunning website design and digital applications … all earmarked with his signature authenticism and innovation. PROFESSIONAL: Mike balances his professional life as founder of WINNR.Digital … gratifying his passion for solution development in branding, development and marketing. Highly regarded in both Hollywood and Silicon Valley, Mike embodies the Vedic philosophy of seeing similar patterns underlying all things. 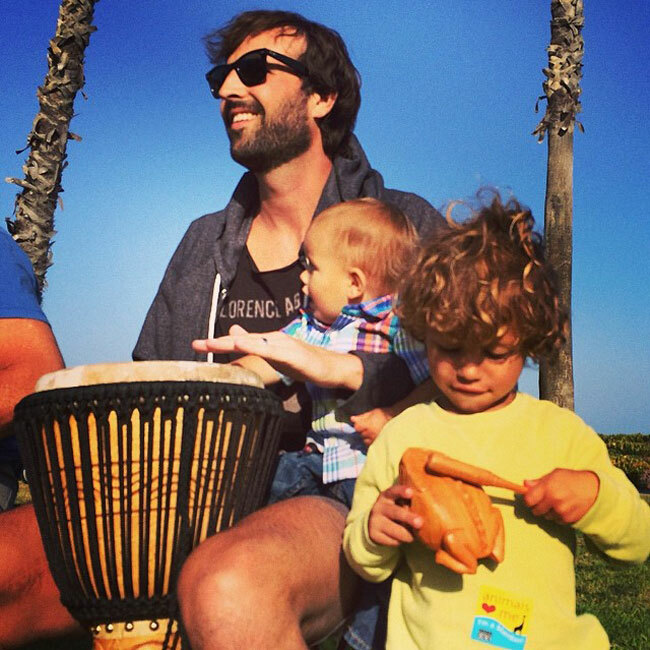 AVOCATION: As a parent, Mike’s natural empathy for planetary issues is focused toward intelligent activism to assure the quality of life for his progeny.